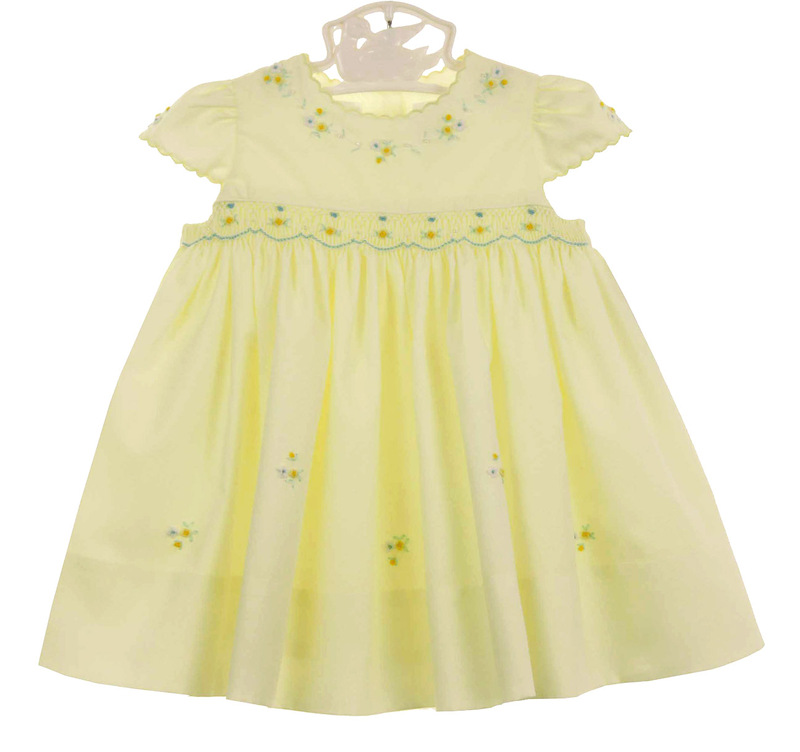 This beautiful little yellow cotton blend batiste baby dress is made by Sarah Louise, a top British designer of beautiful baby garments. 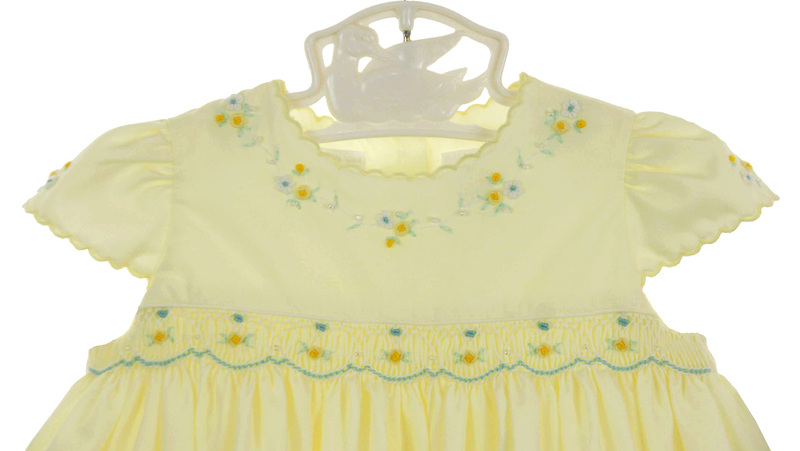 It features a smocked yoke with delicate embroidered yellow rosebuds and blue flowers and tiny crystal beading. White flowers, yellow rosebuds, and crystal beading trim the scalloped neckline and cap sleeves. The full skirt has embroidered floral accents and a deep 3" hem. Typical of Sarah Louise design, the dress has an attached petticoat for added fullness. It closes in the back with three small buttons. Perfect for bringing your new baby girl home from the hospital, for her first portraits, or for any special occasion.